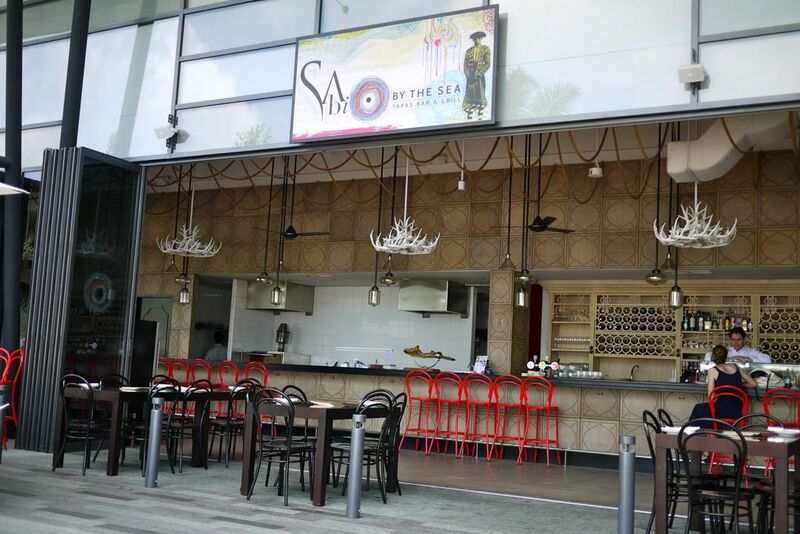 Was invited to the Sabio by the Sea by the lovely Belinda who is always so generous with us friends, inviting us to great places, events and all. 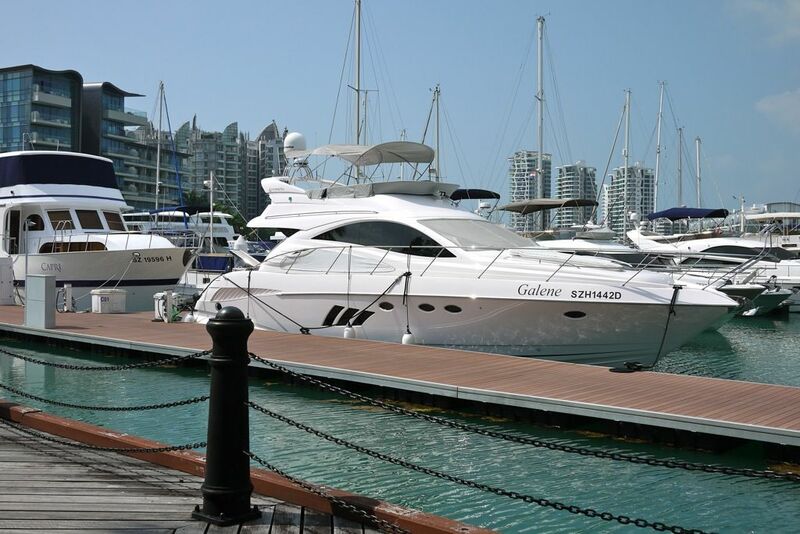 A sunny Saturday was bookmarked for a long lazy brunch by the marina at Sentosa Cove. 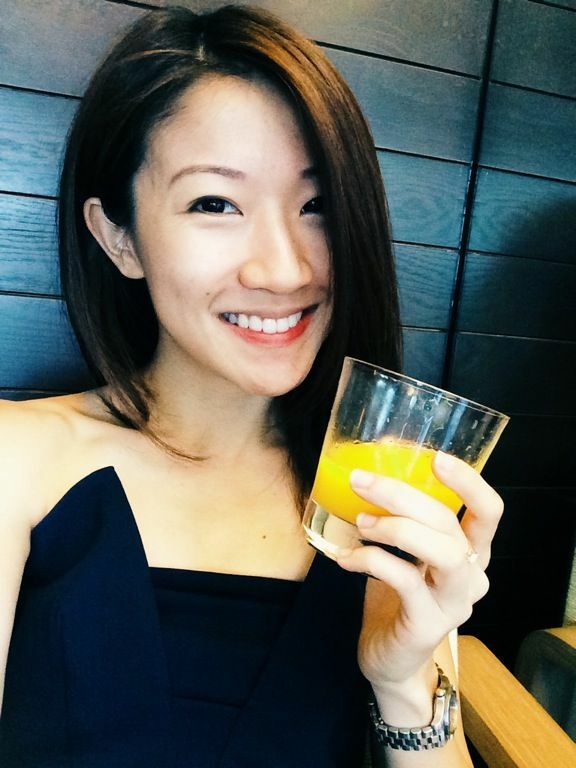 Sangria was at the top of our minds following our previous cider tasting at Betel Box (read it here). Sabio by the Sea, like its sister Sabio in the city, echoes the same painted traditional Catalan tiles and hand carving inspired by a 200 years old bar in Seville. 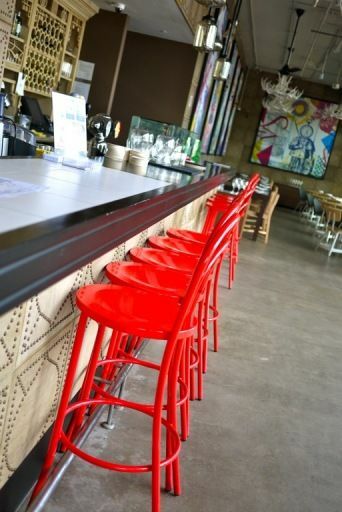 Yet, the vibe is contemporary with bright red metal stools lining the length of the space and CMYK Dada inspired artwork. There is also the fluidity in space with the al fresco areas spilling onto the quayside. 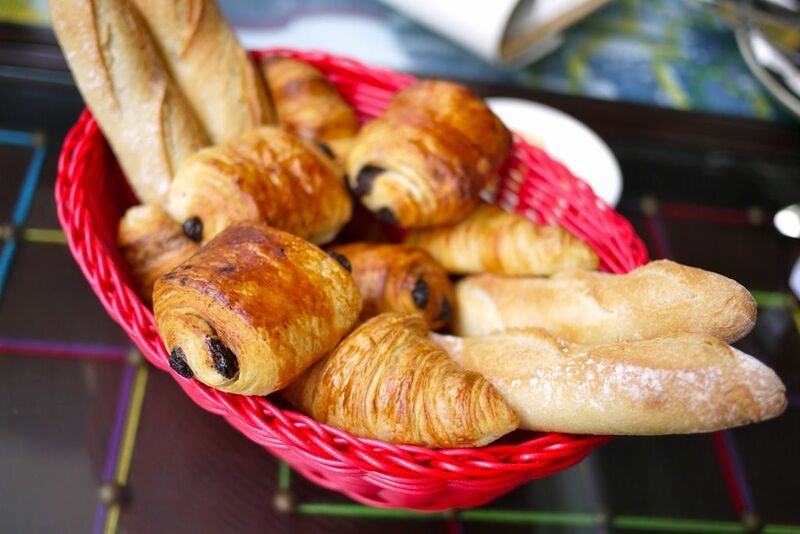 The El Sabio Basket was a delectable tray of wonderfully baked pastries. I absolutely adored the Mini Croissants (both plain and chocolate). The perfect marriage of moist buttery center and crispy browned flakes blew me over. The mini baguette was almost too perfect to be eaten as well. Excellent quality butter and strawberry jam in little jars accompanied the bread basket and i happily buttered away. 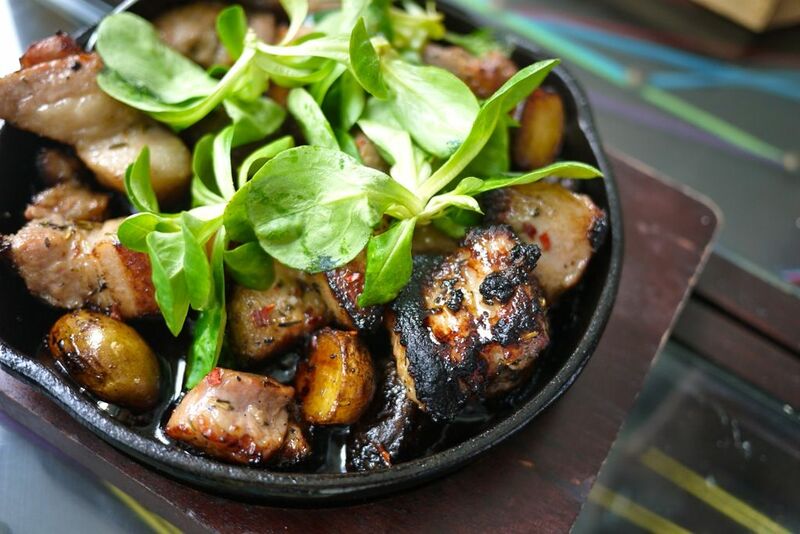 Choose from 8 main dishes, all of which would have gone through the TLC of the Josper Grill to give it the smoky flavor. 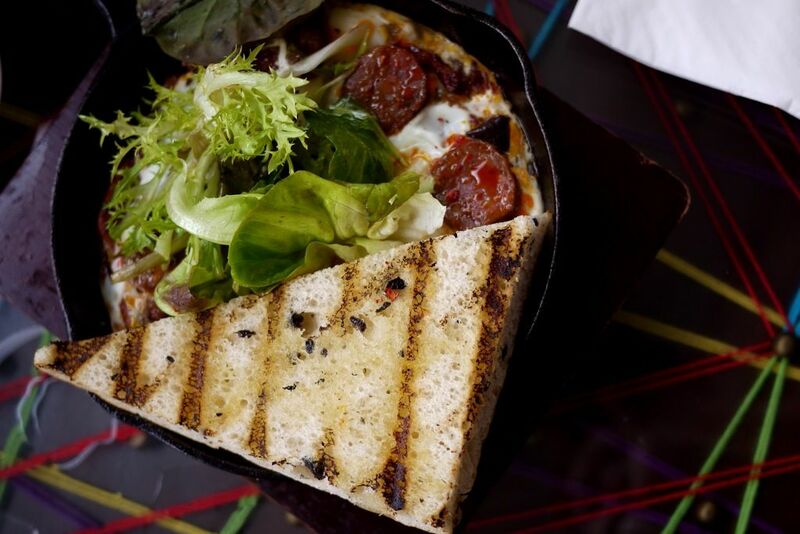 One of our favorites was the Chachouka With Chorizo Sausage, Two Fried Eggs, Toasted Brioche And Green Salad. The Chachouka is a hearty stew of peppers, zucchinis and tomatoes and i loved how the porous bread readily soaks up the earthy stew flavored with the saltiness of cured sausage. 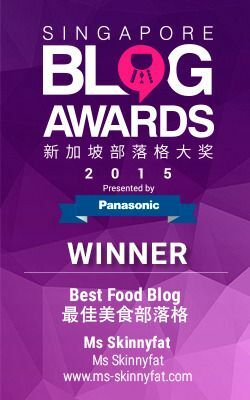 The Grilled Olive Bread stuffed with Manchego Cheese and Serrano Ham with a side of baby Spinach salad would be great if we had eaten it once it was served but lukewarm food is usually the case when you are dining with a huge group of bloggers. 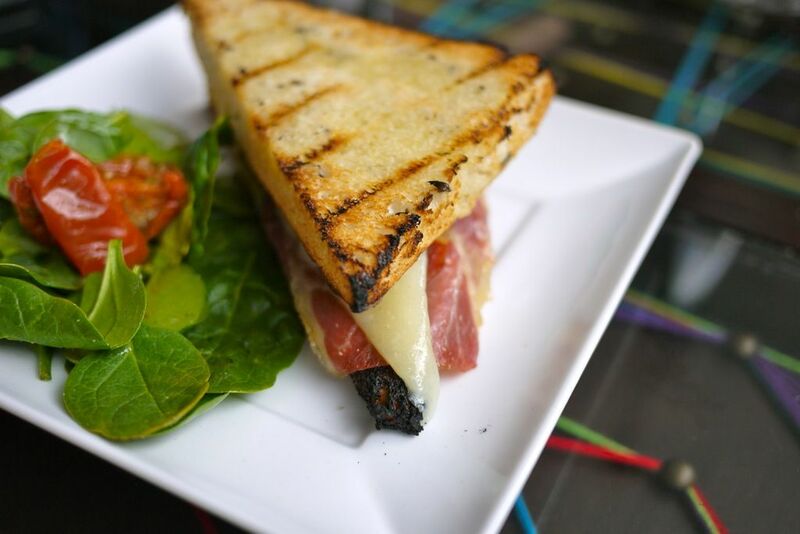 Nevertheless, you can't go wrong with Serrano ham and Manchego cheese though it tends to be on the dry side. Want something meatier? 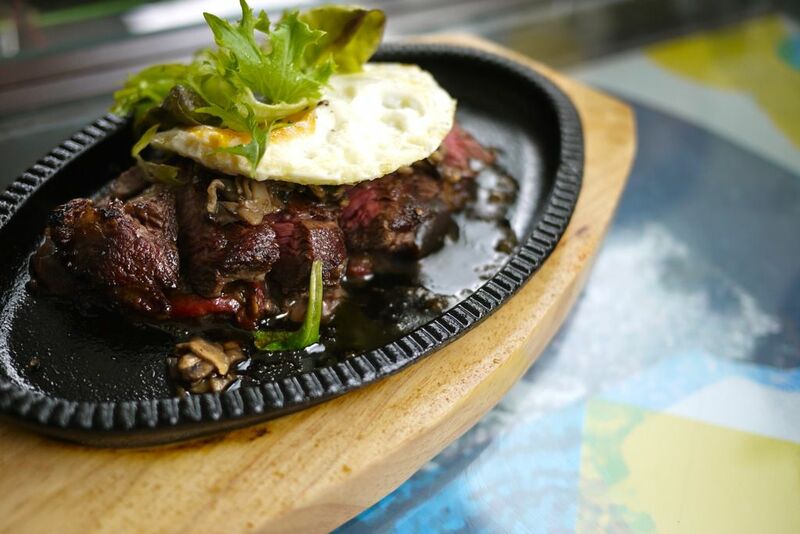 The Grilled Ribeye (120g) with Chachouka, Fried Egg And Grilled Mushrooms is a great option as well. As compared to the dishes that we had, the Fluffy Omelette was easier on the flavors. 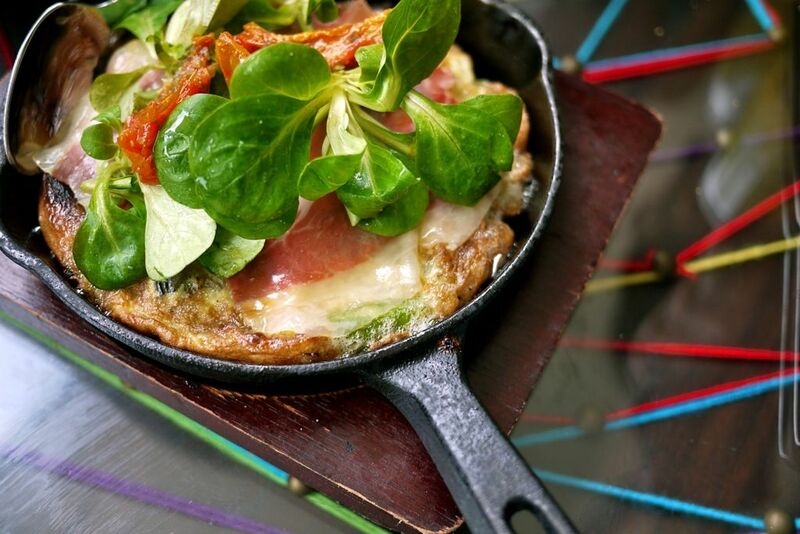 Loved the juicy asparagus in the omelette which was topped with roasted potatoes, Manchego cheese, Serano ham, basil and grilled cherry tomatoes. Apart from the extensive hot and cold tapas dishes available on the menu, I highly recommend the El Cerdo ($21) from the Josper grill. Herbs Marinated pig shoulder pieces that appeared like the Chinese braised pork belly turned out to be more substantial in bite and taste. The chunks of meat wore the caramelized crisp like a badge of honor, having survived the ferocious oven. You may want to skip this if you are afraid of clogging your arteries though. 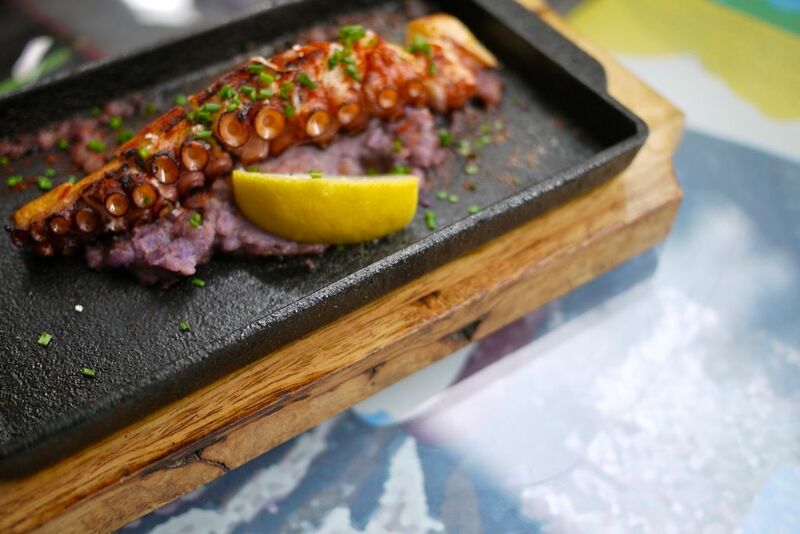 The El Pulpo ($19)- Grilled Octopus leg, “Viola” Mash Potato, Sauce Paprika, is a favorite of many. I can understand their liking of the crispy tentacles and chewy bite of the sea creature, but i'm not a fan of food that is kinda bland and rubbery and takes forever to swallow. Everyone at the table enjoyed it though. 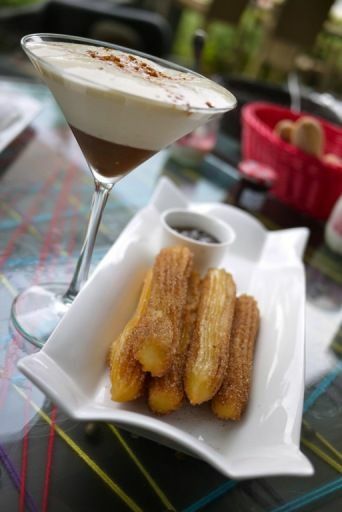 Now, save some space for desserts because you can't miss the best Churros ($11) in Singapore. The crispy dough sticks, evenly and perfectly coated with the golden ratio of sugar and cinnamon, were divine with the viscous and rich dark chocolate. It's even better than the ones i had in Spain! 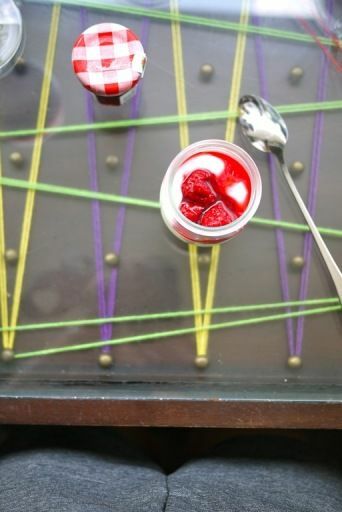 The Spanish Nougat Mousse was interesting but too sweet for my liking. 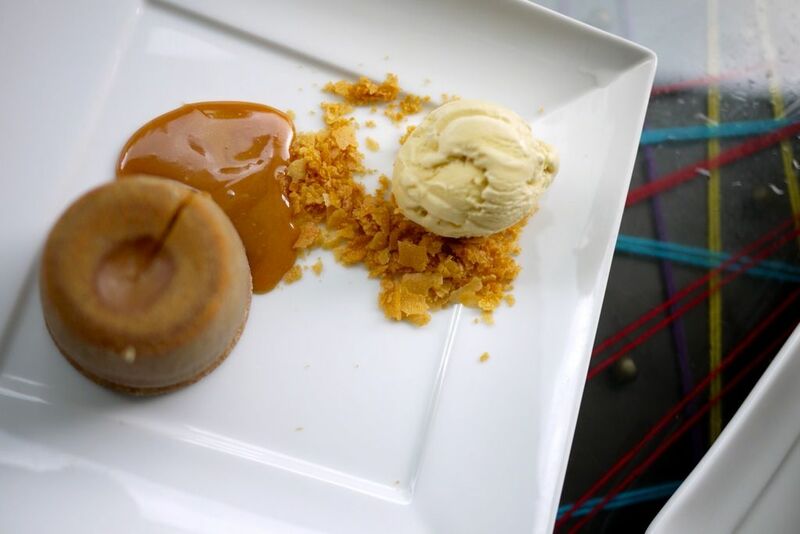 And you gotta have the Signature Salty Butter Caramel Lava Cake that Chef Bruno Menard created which i raved about in my &made review (read it here). Bruno was so sweet to come down to join us for brunch and he promised to make the dessert for me personally next time i visit his restaurant. Such a charming man. 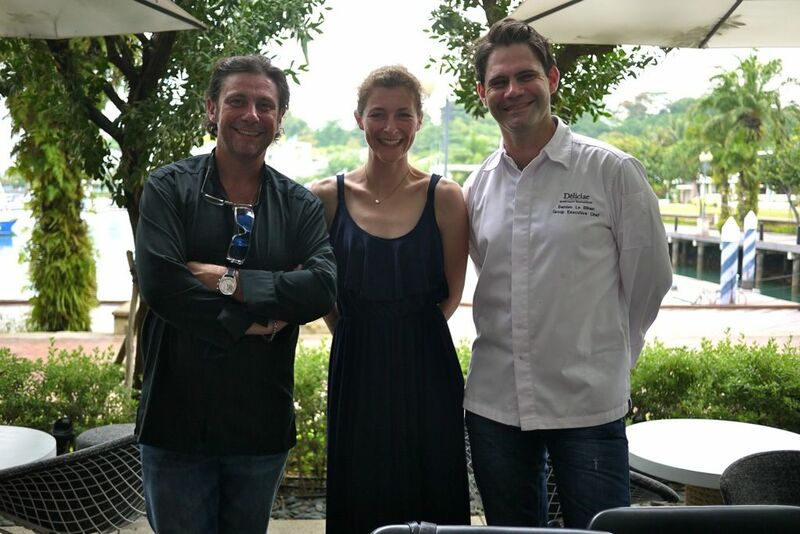 Chef Bruno Menard, the sweet Helene and Chef Damien Le Bihan executive chef of Sabio by the Sea. 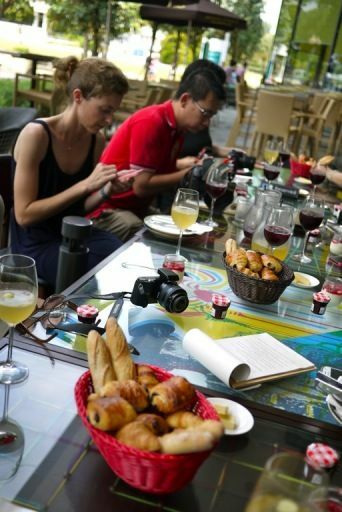 The meal preparation was overseen by Chef Damien Le Bihan, Group Executive Chef, who earned his ranks in several Parisian Michelin restaurants. A man of few words but there's no doubt he's passionate about his food. Need a getaway but don't have the time to hop on a plane? 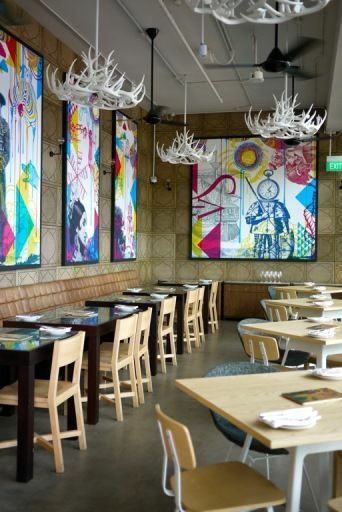 Head on down for brunch at Sabio by the Sea. It sure felt like i was in a different place. Wanderlust. Brunch is served on Sat from 12 to 3.30pm and Sun from 10.30 to 3.30pm. 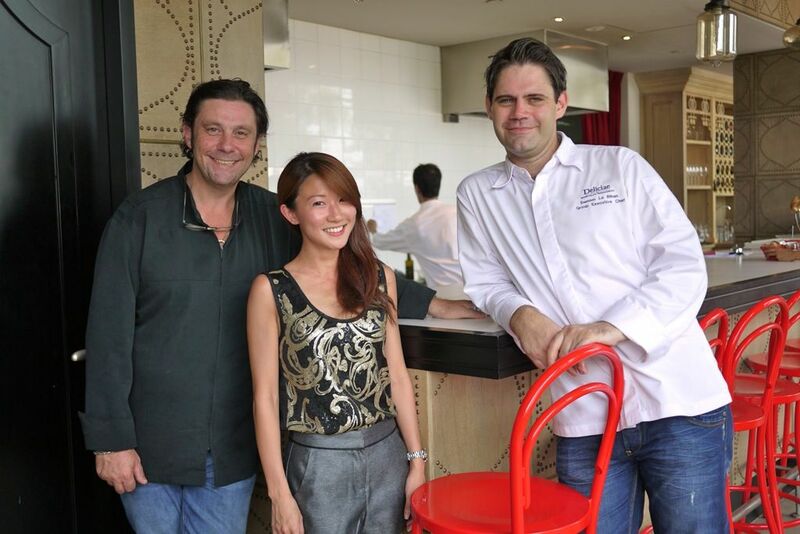 Thanks once again to Deliciae for hosting us. Looking forward to trying the other restaurants under the group.